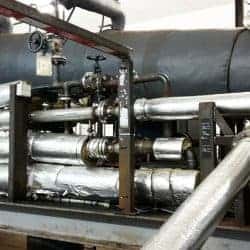 How must our heat exchanger be designed so that we can recover the maximum energy from the product – in the case of hydrothermal carbonization a water-coal suspension – and heat the educt – the waste biomass? Our client develops plants for the hydrothermal carbonization of biomass. In this process, waste biomass is hydrolyzed at almost 200°C and approx. 20 bar and converted to coal. The process has the potential to dispose of sorted or mixed bio-waste decentrally, to extract valuable coal from it and to generate energy from it locally. The aim of this project was to develop an optimized heat exchanger that recovers considerably more heat from the product and thus significantly increases the energy efficiency of the overall system. 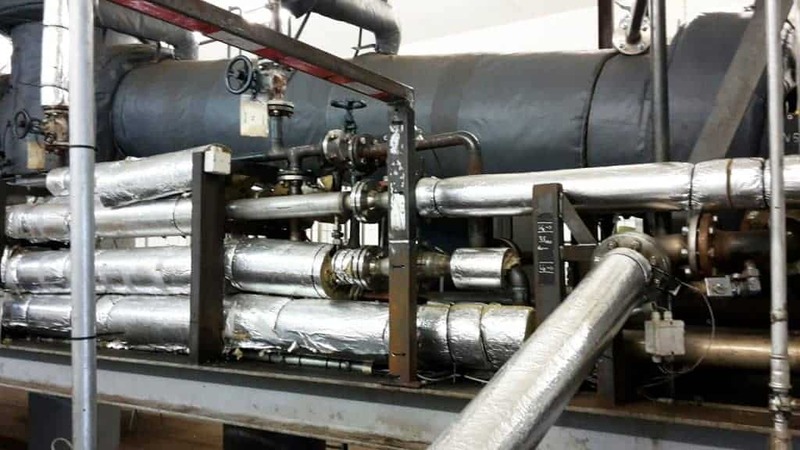 Our client had built a pilot plant to demonstrate hydrothermal carbonization in a continuous process. This worked well, but was not yet efficient enough. The inlet temperature at the reactor was still relatively far below the target temperature, which on the one hand resulted in insufficient energy efficiency and on the other hand also did not guarantee optimum reaction control. We developed two double-tube heat exchangers with an intermediate circuit for the client. Due to the high solids loading, it was clear that neither educt nor product could flow in the jacket and that an intermediate circuit was required. This is energetically suboptimal, but a possible blockage of the jacket would be unacceptable. The heat exchanger consists of a relatively large number of tubes, each with a flange at the end. These are necessary in order to be able to clean possible deposits afterwards. The intermediate circuit is made with water. Thermal oil would also have been possible, but the heat transfer is clearly worse. Accordingly, we have accepted the increased technical expenditure in order to keep the heat exchanger surface and the resulting costs within reasonable limits. The commissioning showed that the heat exchanger – within the framework of measurement and planning uncertainty – functions as calculated.